Well, I asked Bob Arnold, one of our performance management experts, exactly that question! I hope his answers help you. Can you explain what a KPI is? And where do you start to get people to use performance management? Sometimes there is misunderstanding about some of the basic, but important, concepts underlying performance management, and it’s imperative to start off correctly. Take the notion of a KPI or key performance indicator, for example. You’ll hear a lot in different organisations about KPIs, but that doesn’t mean they are always used effectively. As the name indicates, KPIs concern “key” areas of the business. You only want a few of them, and they have to be linked directly to the main goals of your enterprise. When you know where you want your business to go, what you want it to achieve, and which areas of the business will be crucial for that, then those few KPIs should tell you if those areas are performing sufficiently well. What examples of relevant KPIs can you give? KPIs in Manufacturing: Let’s start with manufacturing. In this environment, an effective key performance indicator might be “adherence to plan”. This is the critical measure of how well the factory did in making the products it was asked to make, on the day it was asked to make them. We might also use a KPI to track adherence to cost standards within manufacturing; for example, to see how effective a yield we get from a fixed number of main-hours or a fixed amount of material. KPIs in Logistics: Customer satisfaction and costs are two vital measures for supply chains and logistics as well. To measure how well we are doing on customer satisfaction, we can use a KPI to tell us how effectively the supply chain delivers to our customers. DIFOT (delivery in full and on time) is a typical example of a supply chain customer service KPI. To check up on our performance in managing costs, a key performance indicator can be the amount of inventory we have in stock. This is often expressed in the number of days of inventory, or “finished goods turns”, the number of times your inventory is turned over in a year. If you have a million dollars’ worth of inventory in your warehouse, how many days would that inventory last you at your current or projected sales rate, if you made no further re-stocks of inventory? If it lasted you two months, or say sixty days, you would have sixty “inventory days”. If it just lasted two days, you would have two “inventory days”. It’s a KPI worth understanding because the inventory days metric is important both for managing costs (you want low inventory and high turnover) and customer satisfaction (you still need enough inventory to meet peak customer demand). If you could only give one piece of advice about the use of KPIs, what would it be? The one mistake I see time and time again is companies having too many KPIs. The problem I think, is that people often confuse KPIs with more detailed metrics. KPIs are the metrics you want to look at every day for a helicopter view of your supply chain performance. If you have too many it just gets confusing and people stop trying to decipher them all. By all means capture data for as many metrics as you like, but keep your KPI dashboard simple. The other metrics come into play when you want to analyse say, a fall in performance as indicated by one of your KPIs. As an analogy, try to think of your KPIs as being like the instruments on your car dashboard. Can you imagine if you had to try and keep an eye on 20 different instruments? It’s the same with KPIs. While you probably can’t get away with three or four like a car dashboard, you certainly shouldn’t need 20. With KPIs, less is definitely more. Keep it simple, tie your KPIs to your business objectives, and make sure everyone from the top down can relate to your most important supply chain metrics. 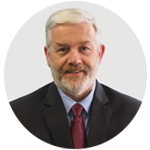 Bob Arnold is a contributing Author to the Supply Chain Secrets Book Series.